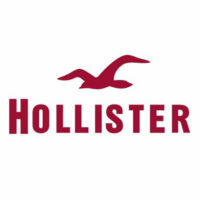 Hollister is a lifestyle brand under the company Abercrombie & Fitch Corporation. Its headquarters is located in New Albany, Ohio. Its fashion style is basically casual targeting customers from 14 to 18 years old. Its first store location was opened in July 2000 in Easton Town Center, Ohio. Today, it has more than 578 stores in and outside the United States. Among its most significant recognitions received was ranking second most preferred clothing brand of American teenagers from the long list of West Coast companies according to Piper Jaffray. Hollister, under Abercrombie & Fitch offers a comprehensive remuneration and benefits package which includes medical and life insurance, paid vacation time, paid trainings, and a 401 (k) retirement plan. People love working here because the company maintains a positive work environment where they can use their specialization to contribute to its general objective of providing high-quality products and service to its target market. All applicants must be 18 years of age or above to be considered eligible for any available position including sales, designer, warehouse and corporate jobs. Junior Designers – They are tasked to come up with fresh designs for specific projects in adherence to the brand image and standards. They are expected to highly motivated, detail-oriented and adaptable to a fast-phased wok environment. Digital Designers – They are in charge of creating campaign designs for promotional materials for various products and events. They will be reporting directly to the Creative Manager and work closely with a team of other Digital Designers. Sales Representatives – Their key role is assisting in-store clients with their inquiries mostly regarding style, stock and sizes availability. They should be able to provide good and trendy suggestions and assist in the purchase process. Stock Associates – They are responsible for sorting stocks according to store protocols. They also ensure the correct quantity of items. They also execute loss prevention protocols and maintain the safety and orderliness of the work space. Other common jobs in this company are: Store Manager, Assistant Store Manager, and Customer Service Representative, Visual Merchandiser, Assistant Buyer, Brand Representative and Store Planning Coordinator. The company has an online job portal where applicants can conveniently view the list of available vacancies as well as the job responsibilities and requirements. They can also conduct their job search according to location, field and function. Applicants can directly apply to multiple jobs through the online job portal. The site also allows jobseekers to create their own profile and upload relevant documents which they can update anytime. In filling out the application form, the accuracy and completeness of information should be ensured. Applicants should provide their updated and active contact details. In writing a resume, bullets should be used instead of paragraphs. The document should be limited to two pages at most. Using reverse chronological order highlights the most recent career experiences. The chances of getting hired increases upon making a good first impression during the interview. Applicants should conduct a research about the company and the job and ensure mental alertness by getting enough sleep and eating a balanced meal. Its company culture is centered on being highly committed to excellent customer service. The management encourages its staff to keep a positive attitude and consistent willingness to learn and improve in all areas including design and retail. It is known for its three flagship stores located in New York City, SoHo, USA, London, Regent Street, UK and Munich, Färbergraben, Germany. It is also popular for its secondary flagship store in New York’s Fifth Avenue. The brand is known for getting the names of its goods form SoCal beaches. It uses designs that are graphic, crew and tee shirts, Henleys, cardigans, pullovers, and cardigans among some. The company is engaged with the various initiatives focused on the environment principles of reduce, reuse and recycle. Among its projects are water conservation, energy management, carbon disclosure project, and pollution reduction.